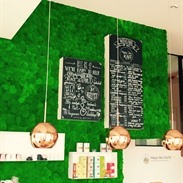 Happy Skin KAFÉ is a concept of superior experiences in Alsemberg. 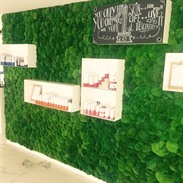 You get to know the #healthyskinhappyme philosophy in a relaxed and original way. 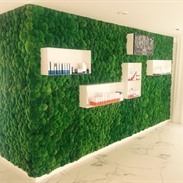 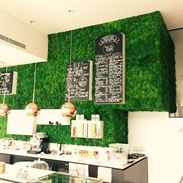 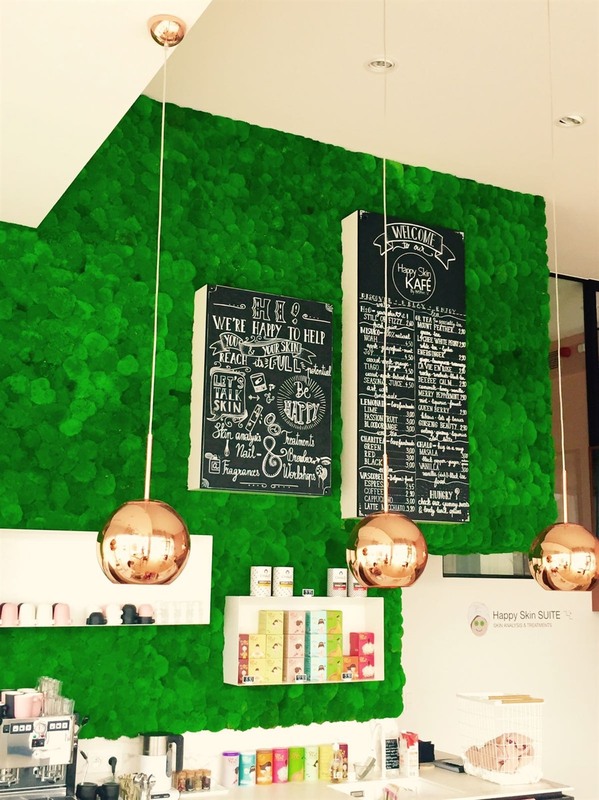 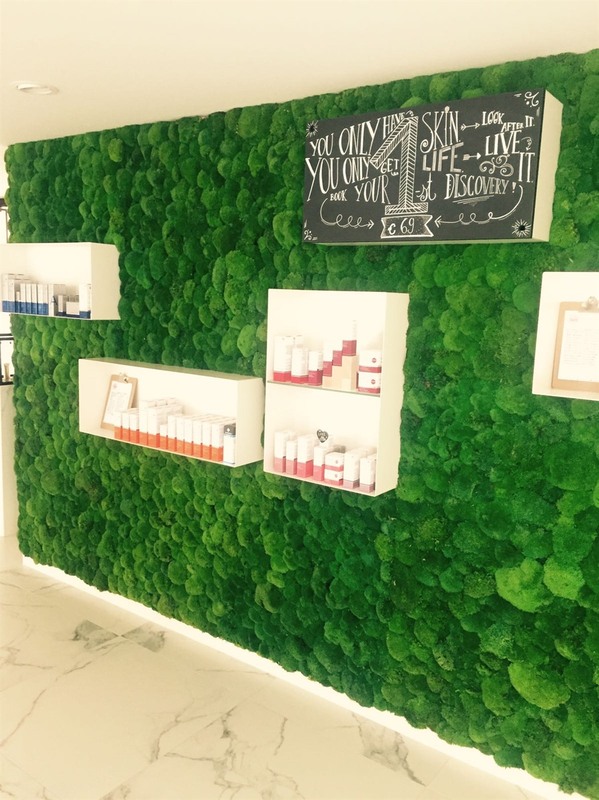 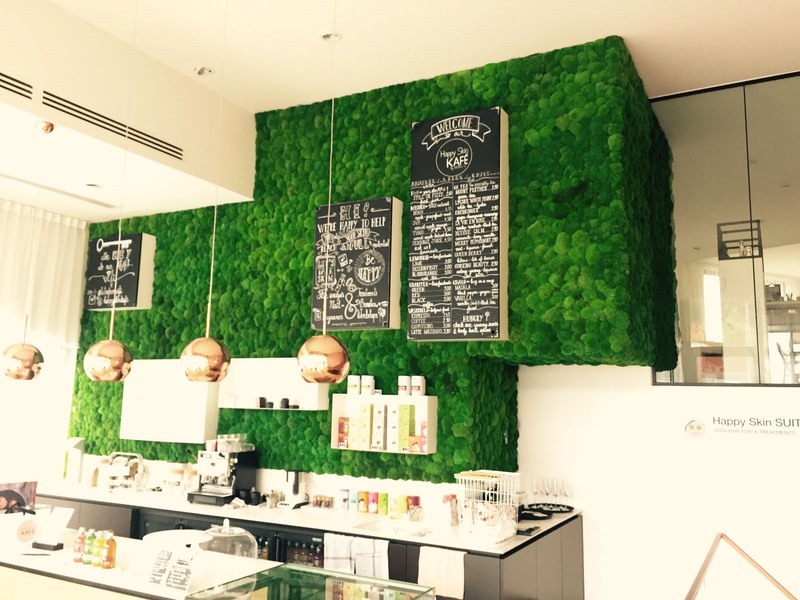 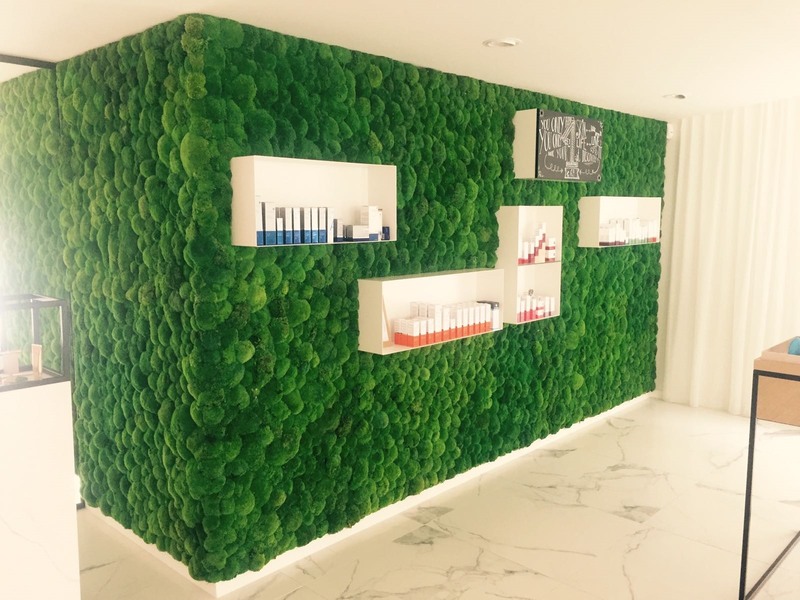 Any Green has taken care of the green wall that turns this place into an oasis of serenity!